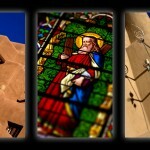 Snapshots from Santa Fe, NM.! Sunny Monday morning Peoria greetings to all! I was able to swing by Santa Fe NM. for a quick visit on the way out to see my folks and as always, it’s a wonderful time walking around the downtown area and seeing everything that’s going on! If you’re looking to shop and spend a couple of bucks, this is the place!!!!! I’ll have to get back there when I’ve got a little more time and can really explore the city!!!! Here’s some of my snaps from a few hours in Santa Fe! Thanks as always for taking the time to check out my work and I hope that you have an outstanding week!!!! !